2016 was a record breaking year for mobile; the iPhone celebrated its tenth year with the launch of the controversial iPhone 7, Super Mario Run became the fastest app in history to rack up over 40 million downloads, and Google put its full weight behind the Daydream mobile VR platform, propelling VR into the consumer market. 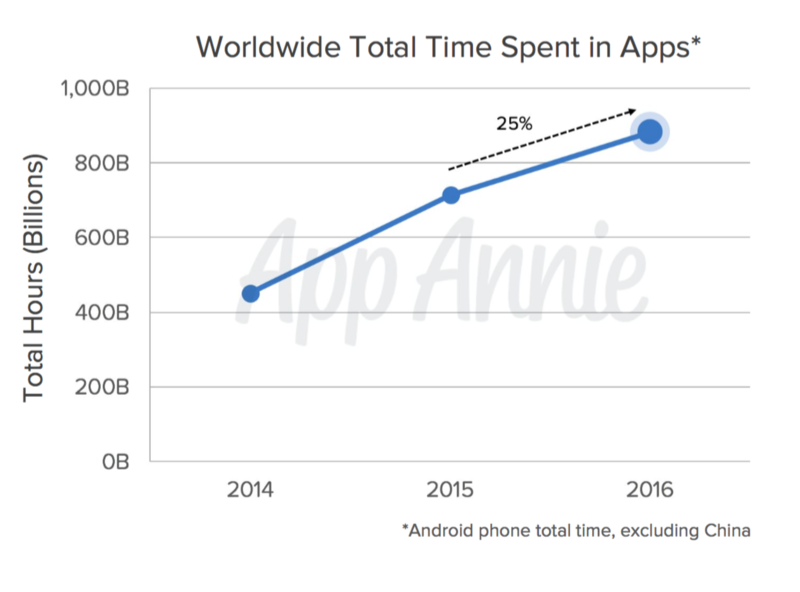 Yesterday, market research company App Annie released their annual retrospective report on the mobile market with some shocking statistics. The company calculates that mobile users spent almost 900 billion hours on mobile devices in 2016, up 150 billion hours from 2015. The analysis, performed only on Android devices does not take into account statistics in China, where mobile usage overtook the US this year. With 2017 expected to be an even bigger year for mobile in terms of usage, and with newer mobile markets in China and India maturing, we wanted to take a look back at some of the year’s best apps to gather some key learnings that can be applied to your app to ensure sustained growth, and a lucrative 2017. The online retail giant remains the ecommerce industry’s golden child with its most profitable holiday season to date in 2016. With shares up 1.6 percent, the store reportedly shipped over 1 billion items worldwide during the holiday season and with 72 percent of their customers now shopping on mobile, it’s no surprise that they’re on our list as one of the year’s best apps. The majority of Amazon’s success is owing to its pioneering attitude to online shopping, and for consistently staying ahead of the curve. 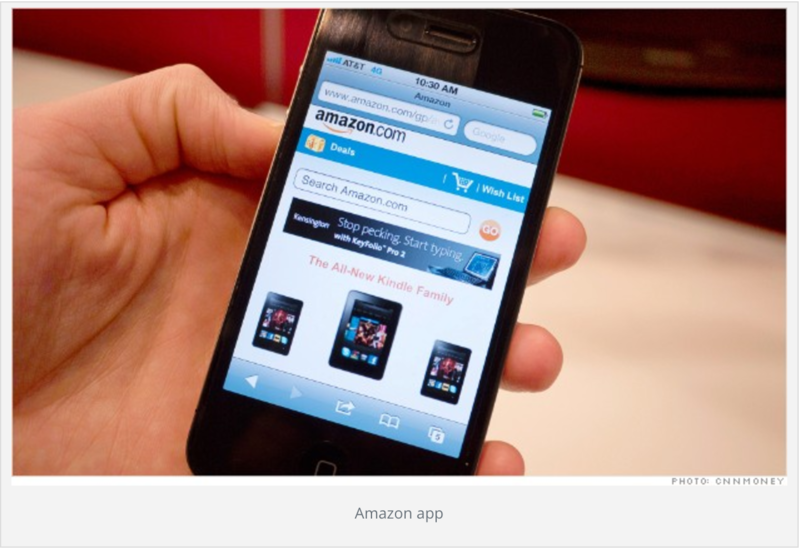 Along with eBay, Amazon was one of the first ecommerce sites to see the potential in mobile and began investing in their mobile website and app long before their competitors even had mobile-optimized web pages. Their early adoption of mobile as a shopping platform allowed Amazon to take the time building and refining a high-quality app that ensures the best possible user experience for shoppers. Recognising the difference between mobile and desktop shoppers, Amazon designed their app with mobile users in mind, providing a quick and easy shopping experience with clear actionable CTAs and a synchronized shopping basket across mobile web, app, and desktop. Its predictive search function secured Amazon’s top spot above Google as the preferred starting point for product searches in PowerReview’s annual consumer survey for their intuitive spell correct, essential for mobile users with small keyboards that regularly shop on the move. One of the app’s stand out features is its barcode scanner function which allows shoppers to scan a product barcode in brick-and-mortar stores and search for the product in Amazon’s inventory. The function is especially useful around the Holidays when shoppers, dreading queuing at another checkout can search for their items on Amazon, and often find what they’re looking for at cheaper prices delivered straight to their door. One lesson that can be gleaned from Amazon’s roaring success, is their dedication to customer loyalty. For a smaller shopping app that is fighting for each sale, usability is the most important aspect of your app and must be built into the core of its offering. However, if you’ve spent all that time building the UX of your app and ensuring its quality, the next step to drive higher retention rates on an mcommerce app must be rewarding customer loyalty. Amazon Prime was introduced in 2005 and has been a key driver in the growth of the company since then. Prime is both a loyalty program and a sales device. While on the one hand offering savings, a swift checkout process and more recently, entertainment which all lead customers to continue paying for the subscription service. On the other hand, Prime is key to the financial success of Amazon as Prime customers spend 100% more than regular customers. With over 54 million Prime subscribers in the US alone, to compete with the retail giant, smaller apps should focus on building a well thought out loyalty program that offers similar benefits like free shipping, but also other benefits that will set you apart from your competitors. Working with a retargeting provider, mcommerce apps can segment their users based on their in-app actions and retarget them as they engage with other apps to remind them of your app’s unique offering and to thank them for their loyalty. In an industry as big and booming as ecommerce, healthy competition is always good and that’s why last year we were delighted to see Indian e-retailer Flipkart becoming the first app of all categories in India to reach 50 million installs. Flipkart’s founders Sachin Bansal and Binny Bansal left their careers at Amazon in 2007 to found Flipkart which is now India’s most popular shopping app and valued at more than $9.9 billion dollars. Both named on TIME 100 list as two of the most influential people of 2016, the pair set out to provide an unbeatable shopping experience that was designed with Indian customers in mind. Pioneers of the cash on delivery payment method, the company acknowledged the wariness of Indian customers towards online shopping, offering a simple, easy to use interface with flexible payment and return options. The Flipkart app has a 4.5 star rating on the Google Play store with over 2.865.389 reviews praising its ease of use and swift response rate from its customer service agents who respond to each complaint and review and collect this data to make improvements to the app. The main reason for Flipkart’s success in India is their willingness to tailor their offering based on their customer’s requirements and suggestions. Consistently praised for their in-app improvements and constant efforts to enhance the Flipkart shopping experience, the app is a favourite amongst most Indian customers looking for the lowest prices and the swiftest delivery time. Flipkart’s mobile app engagement is greater than any of its competitors in India with data report from Similar Web showing hugely high engagement rates for a shopping app in a country relatively new to the mobile market. In 2015, Flipkart integrated Ping into the app to create a social shopping experience allowing users to chat with friends, share merchandise, and to discuss new products and offers with the Flipkart app community. The company anticipated about 100,000 of its users would be interested enough to download the feature and were shocked to find the invitation-only feature had been downloaded by 2.5 million people in just two weeks. Alongside their Fliptech gadget guide and Hobby Hub recommendation extension, the Ping feature highlights Flipkart’s focus on retention, a move that’s paying off as more than 21% of mobile users in India now use the app at least once a week, compared to 13% for Amazon. The key lesson here is that understanding your customers and constantly improving your app to fit their needs has got to be the focus if you are up against some already established competition. Though lately Flipkart looks as though it may be buckling under the pressure of the ecommerce giant, their focus on their mobile app may be their saving grace in this war. Speaking of apps that take a successful concept and make it their own, no list of best apps would be complete without mentioning South Korean picture sharing app Snow. 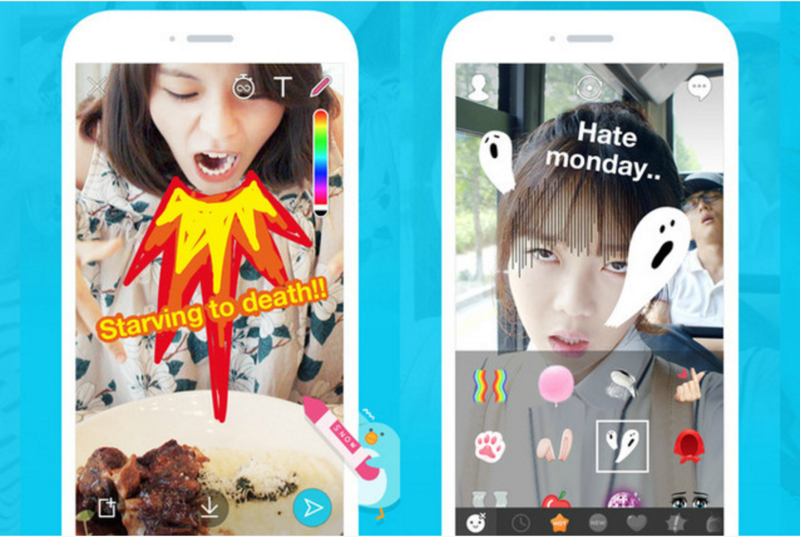 It was created by Camp Mobile, a subsidiary of Naver, most famous for the chat app LINE and bears an uncanny resemblance to Snapchat, featuring hundreds of animated stickers, masks and filters that map onto users’ faces with facial recognition software allowing people to share photos and videos directly with friends. The app was launched in 2015 and later rolled out worldwide and in China where it has a major advantage: Snapchat is banned in China. The app has received millions of glowing reviews from Chinese customers who praise the app for its broad range of filters and the fact that users don’t need to connect the app with their mobile phone numbers, a standard requirement for social media accounts in China where the government track the interactions of users online. In November of last year, Facebook attempted unsuccessfully to acquire Snow to position itself against Snapchat, a deal that was rejected by chairman of Naver, Hae-Jin Lee as he believed the app could see the same success they saw with LINE. The key lesson from Snow is undoubtedly their understanding of their market, and their choice to go against the grain by focusing their attention on China instead of the US where Asian tech startups have struggled to establish themselves successfully. The newfound infatuation with Korean culture amongst young Chinese people has allowed for access to, and far more success in the Chinese market for tech startups hoping to reach some of the Chinese population’s 1.28 billion mobile users. Snow’s success depends solely on their willingness to innovate and focus all of their attention on a previously hostile but coveted market, ridding the Chinese version of the app of the messenger feature so loved by its South Korean users to keep its Chinese users engaged, and avoiding competition with messaging apps WeChat and Weibo. We recommend you at least try the Snow app and see for yourself how it draws you in with clever real life updates and beautifying filters to make any cautious selfie taker smug and coming back for more. Snow is set to bring about an avalanche of press and even more users this year if it maintains their current momentum. We look forward to seeing what else it can morph us into this year! Looking at Uber statistics for 2016, it’s no real surprise that this taxi app is on our list for best apps of the year. With over 40 million monthly riders worldwide, and upwards of 55 million Uber trips being taken each month, Uber continues to dominate the travel app category despite some worthy competition. Some major changes to the app last year have made Uber a joy to use with more optimized basics and new features to grow their revenues in preparation for an anticipated IPO this year. Known for their high-tech approach to daily travel, the company invested more heavily in mapping solutions meaning that users are no longer asked where they are, but “where to”. The app is now synced with calendars on iOS and Android and suggests common or repeat journeys to users while also allowing for carpool services for users looking to save some cash. CEO Travis Kalanick expects their entire fleet to be driverless by 2030, rendering car ownership obsolete. Uber have also partnered with a number of successful air travel companies to provide helicopter and vertical flight options for users in congested cities like São Paulo. 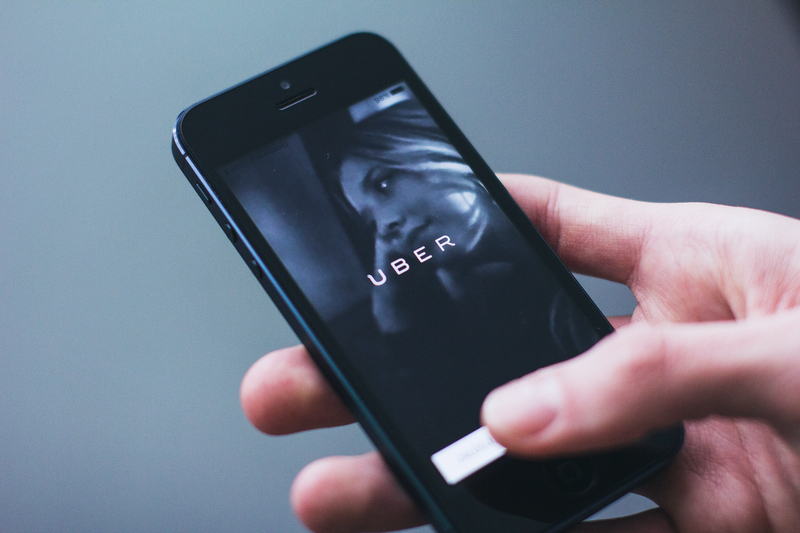 The main reason for Uber’s success, but also widespread media controversy is their repeated attempts to become a one-stop-shop lifestyle app for modern mobile users. They have dabbled and succeeded in every service from courier-ride to food delivery and have made some quantum leaps in their tech in order to provide a seamless user experience for users around the globe. Their recent launch of the Snapchat integration which can be used while users travel to and from their friends proves their willingness to try to please their customers and keep them engaged within the Uber app. Last year, Uber introduced a loyalty program that rewards repeat users with free rides on top of the regular discounts and voucher codes they make available on the app. The focus on retention seems to be paying off with some bizarre driving habits revealed by the company that show one rider in the US to be taking more than 6 rides a day which adds up to a total of 2,357 per year! For a smaller app company attempting to replicate Uber’s success, dabbling in a number of fields so early on may not be an option, but recognising the potential early on is what drove the app’s success. Collecting feedback from your users and being aware of their habits and trends is essential to early growth and if you’re looking to become the next Uber of your app vertical - it might just be the key. 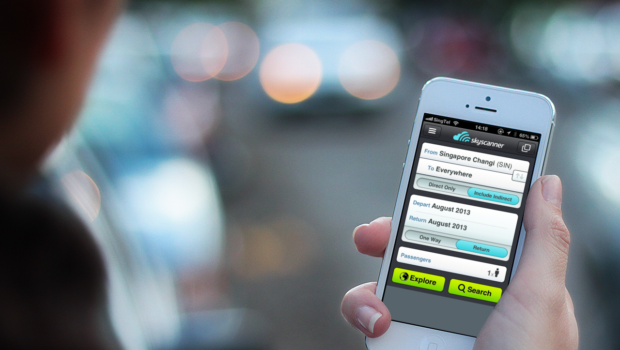 Another app that’s been dabbling in some other relevant areas to drive its growth, Skyscanner is the UK based travel app with more than 60 million monthly active users. Last year, Skyscanner was bought by Chinese travel provider Ctrip for $1.74 billion, not bad for a little app from Edinburgh. The metasearch engine now offers flight searches in over 30 languages and has become synonymous with travel in the last ten years since the app’s inception. Skyscanner recently welcomed automated customer support with the launch of the new Facebook messenger bot and also merged its standalone flight-search app with its existing apps for travel and car hire, creating a one-stop-shop for users looking to find the best prices for their upcoming trips. 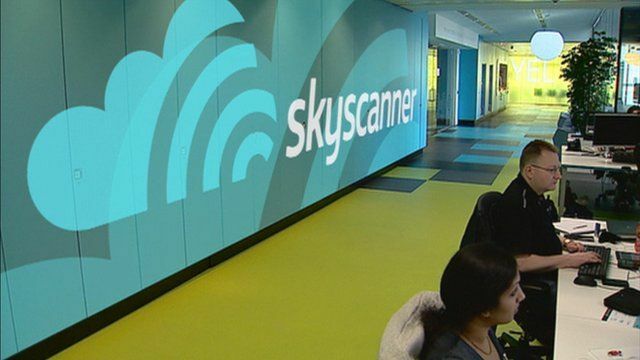 Skyscanner’s success is largely dependent on their approach to business which has seen them avoid investment, growing organically and profitably for the last seven years, and focusing primarily on the APAC region before accepting investment to grow their business in the US. The biggest lesson here for any app developer trying to make it to the top of the charts this year, is that going your own way can be a challenge but in cases like these it can truly pay off. Skyscanner have always taken their own approach to business in every aspect of the company from location to timing, not allowing competitors or trends to knock them off their original goal. Staying true to their brand, the company retained its headquarters in Edinburgh despite the growing trend for companies to either move or outsource their staff to cheaper locations. Their goal to crack Asia before tackling the US seems to have paid off too, with CEO Gareth Williams speaking of the value he found in analysing the complex Asian market, and the learnings that could be applied in their new venture in the US. In choosing their US headquarters, the company decided on Miami as opposed to the standard choice for European tech companies, New York and San Francisco. The move was a strategic one allowing Skyscanner to take full advantage of the Spanish speaking educated workforce to reach new markets in Latin America. Skyscanner is a real inspiration in terms of their approach to business, an approach that should be noted by any app developer looking to make a splash this year with even fiercer competition than before. Spotify’s aim was simple: to give users complete control and unlimited access to music on demand for $9.99 per month. 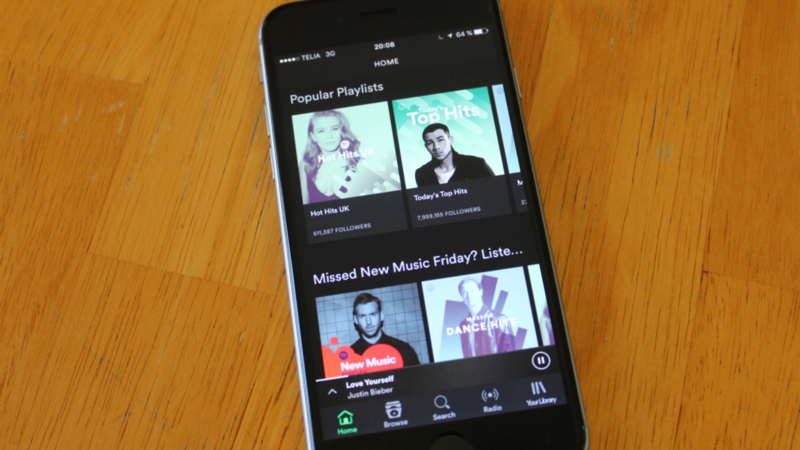 Though competition in the music industry has always been fierce with heavyweights like Apple Music and Pandora dominating throughout the 2000s, Spotify’s on-demand streaming, vast music catalogue, and the Spotify discover feature have helped the company to position themselves as a replacement for their main competition. Now named as the highest grossing non-gaming app of 2016, Spotify is set for big things this year with a planned IPO in the latter part of the year. The key lesson here from Spotify is surely that making your app social is an absolute necessity in an age dominated by social media. In 2011, the company announced an exclusive integration to be the “default music service” of Facebook. Once registered, Spotify users can see their friends’ activity within the app from the songs they’ve listened to, and who they are following, to every public playlist they create. Noting the intrinsically social nature of music, Spotify CEO Daniel Ek built the app for social sharing enabling friends to work on playlists together on different platforms and allowing bloggers and writers to embed tracks into their websites. It is this focus on sharing that has ensured the continued success of the company and secured their place on our list as one of the best apps of 2016.